Come one, come all! 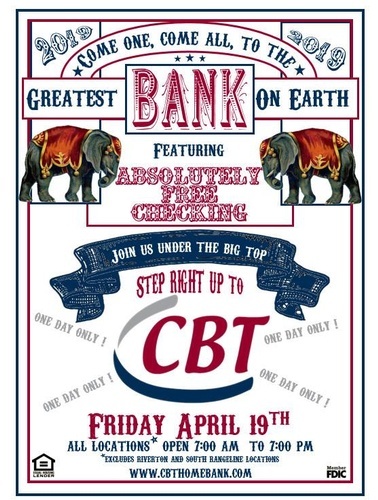 Community Bank and Trust is celebrating the greatest banking day of the year with food and prizes! Lunch will be provided at each branch location from 11:00 am to 1:00 pm. Each location will be giving away $50, and there will also be a grand prize of $1000 awarded to one lucky winner. You don't want to miss this!